Add the chicken stock, jalapeno brine, diced jalapenos, garlic powder, onion powder, and salt to the inner pot of the IP and give it a stir. Seal the Instant Pot and pressure cook for 15 minutes. The device will take about 12-13 minutes to come to pressure. When it’s finished the 15-minute pressure cook cycle, carefully turn the nozzle to “Venting” to manually release the pressure. Take the lid off, turn the IP off, remove the chicken and set aside. Turn the sauté mode on. Bring the liquid to a simmer and cook for 10 minutes. This will allow some of the liquid to evaporate. Or you can remove a cup of the liquid (reserve in case it gets to thick and you need to add it back in) and bring to a simmer, then add in cream cheese and whisk until it’s smooth. Taste the cream cheese sauce to make sure it’s spicy enough. For more heat add more diced jalapenos, or some cayenne pepper. Add cheddar cheese and Parmesan cheese and stir until it’s melted. If too thick, add a little more chicken stock and if too thin simmer for a few minutes. Turn the IP off and shred the chicken. Fold the shredded chicken into the cheesy sauce. If it seems like it cooled down too much turn the sauté mode back on. Stir the mixture frequently while heating it up so it doesn’t burn on the bottom. Finally, fold in the chopped green onions. 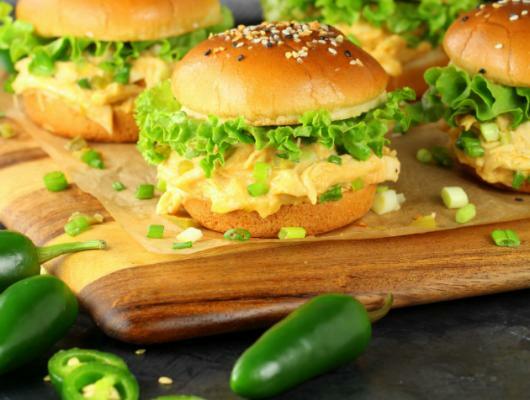 Serve with more cheese on top – garnish with green onions, diced jalapenos etc. 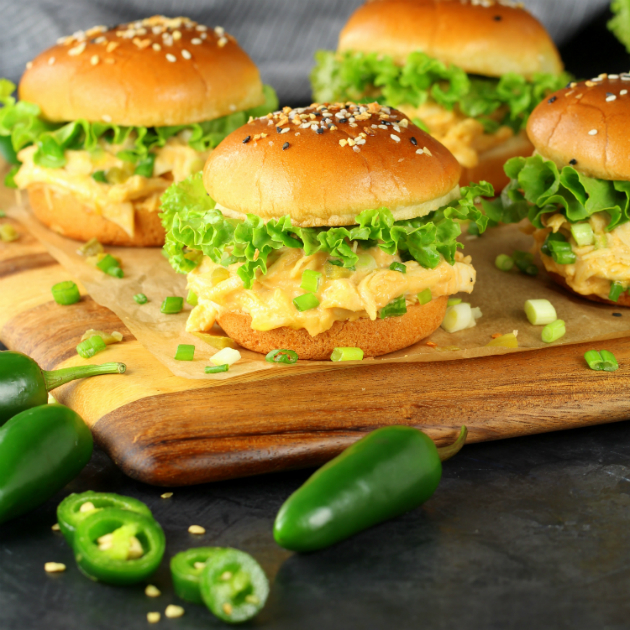 Loaded with rich cream cheese, spicy diced jalapeños, sharp cheddar and tender chicken… a completely drool-worthy creamy cheesy creation!